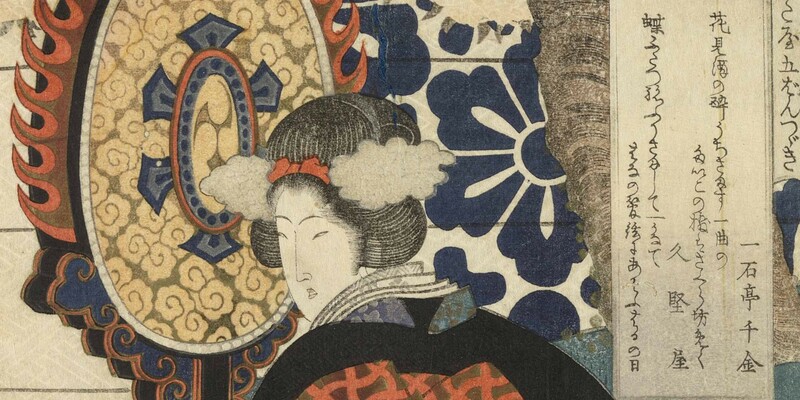 Detail from Five-panel picture for the Hisakataya Group: Hanging drum, koto and biwa. Yashima Gakutei. Japan, c. 1823. Chester Beatty. The word Surimono means simply ‘printed thing’. 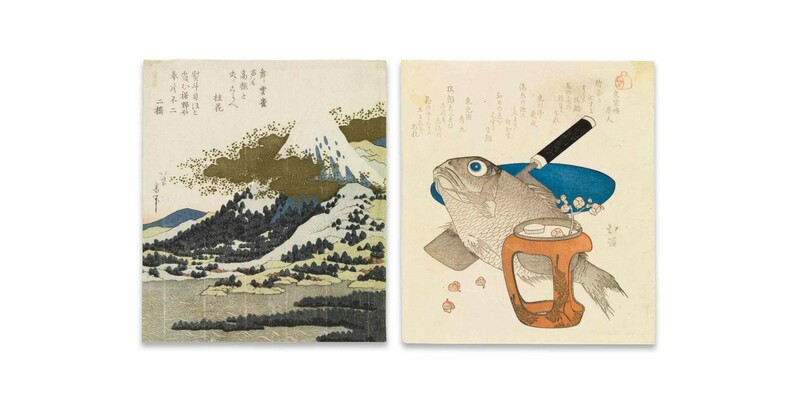 Prepared as gifts for exchange among friends and acquaintances at New Year and on other special occasions, these privately-published prints were products of the flourishing literary culture of Edo Japan. 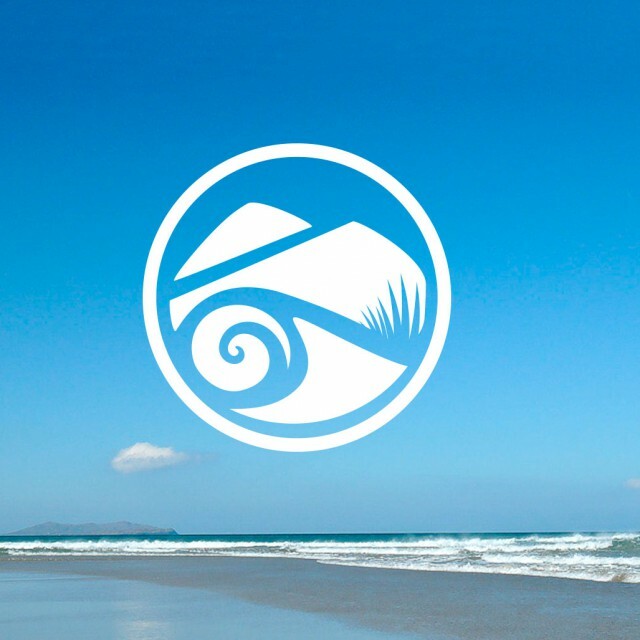 The Surimono commissioned by poetry circles in the late eighteenth and nineteenth centuries combine short verses composed at poetry gatherings with designs prepared by leading artists. 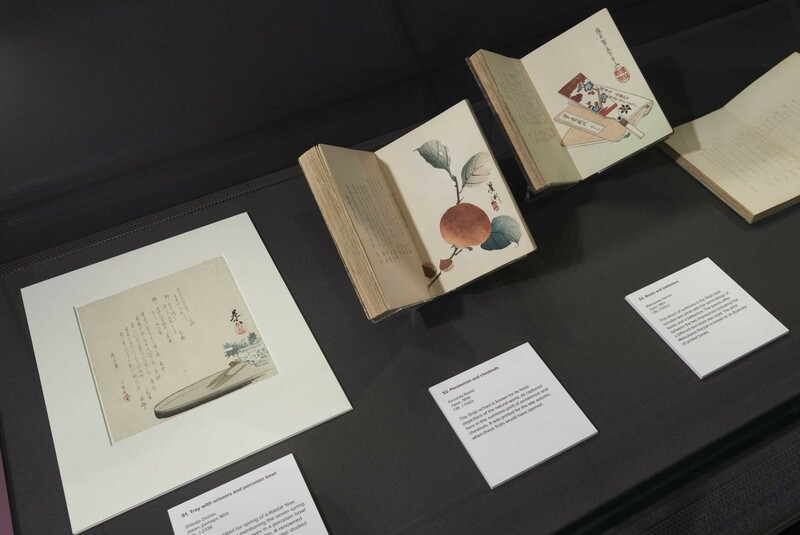 Taking their subjects from the scholar’s desk and the literary canons of Japan and China, surimono embody the eloquence and amity of these cultivated salons and offer a glittering glimpse into a world rich in playful allusion. 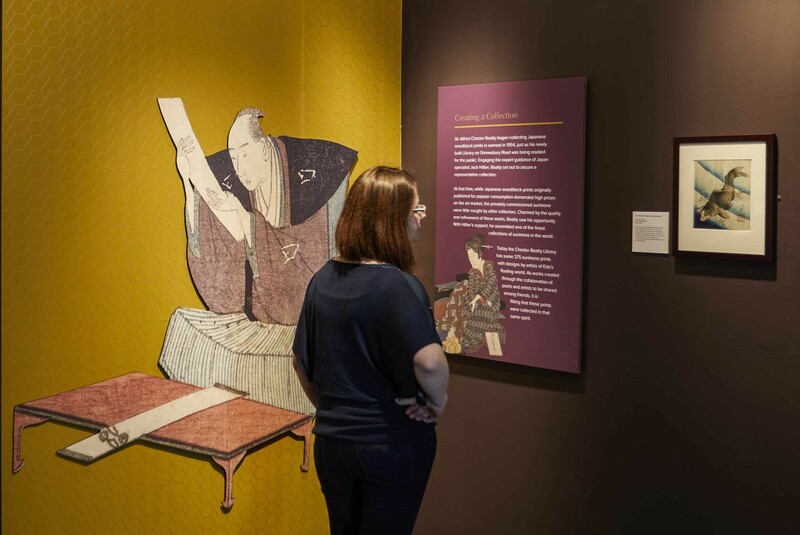 We worked with the Chester Beatty team to design all interpretation graphics and marketing material for this exhibition. We chose the gallery colour scheme and worked with the curators on the exhibition layout. We also designed the exhibition catalogue which featured all the Surimon prints on display. A visitor to the exhibition examining a Surimono print. Chester Beatty. Left: Mt Fuji from Lake Ashi in Hakone. Katsushika Hokusai. Japan, late 1820's. Chester Beatty. Right: Cherry bream, cleaver, plate and cup stand. Totoya Hokkei. Japan, c. 1827. Chester Beatty. The intro wall to the exhibition. 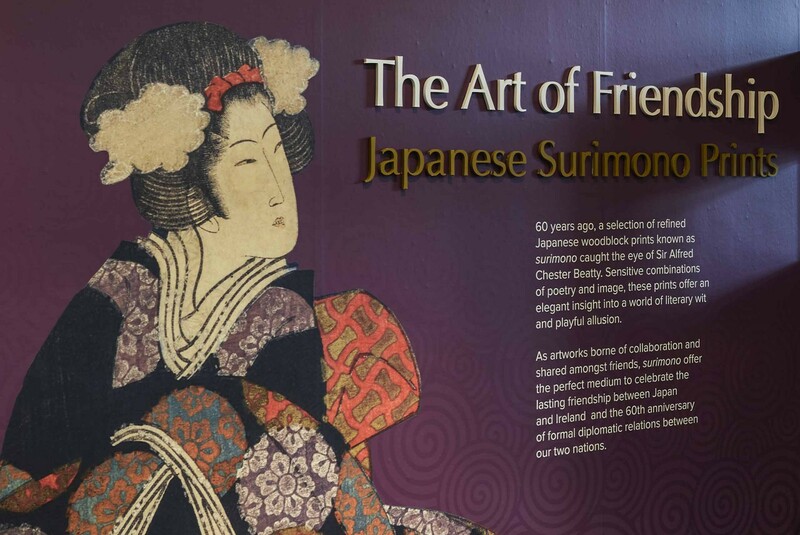 Some of the Surimono prints on display in the exhibition.